Skin Recovery Cream DEFI reduces inflammation and restores skin's balance and reactivity. This soothing cream protects, moisturizes and nourishes skin that is unable to tolerate ordinary products. Based on the completely sterile manufacturing process of DEFI, this product is 100% sterile, 100% pure, 100% safe. Apply in the morning and/or evening after cleansing with Avene Extremely Gentle Cleanser for Intolerant Skin. 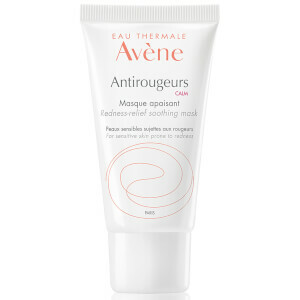 Avene Thermal Spring Water (Avene Aqua), Mineral Oil (Paraffinumliquidum), Glycerin, Glyceryl Stearate, Squalane, Cyclopentasiloxane, Cyclohexasiloxane, Serine, Carbomer, Tetrasodium Edta, Triethanolamine, Water (Aqua). This none scented cream is much more sympathetic than many I have tried before. A great by for very sensitive skin! I'm always on the search for a decent recovery cream and have found this to be the perfect product to apply after cleansing (both in the morning and evening!) I've got fairly sensitive skin and found this reacted perfectly to my skin - it now feels fresh and radiant all day! A lovely cream for moisturizing without any strong scents or harsh ingredients. 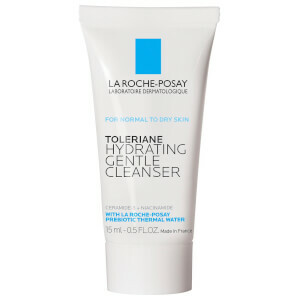 Just nice and caring for sensitive skin! I've never got a problem with any Avene product - until this one. I'm allergic to it! I usually use Avene as my recovery system when my skin turns sensitive to other products and I always feel comfortable and safe with Avene. However, when my favorite, the one for intolerant skin is discontinued and I switched to this, my skin got stings and burns with it. And what's worse is, I can't feel it absorbed; it seems to just stay on the surface of my skin. I then switched to Avene Cicalfate. Will not purchase again. 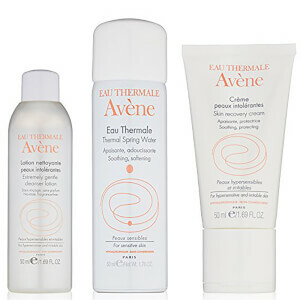 I love, love, love my Avene daytime which is light, absorbs quickly and makes my face happy! Maybe I mistook "skin recovery" to mean anti aging and it should only be applied after sunburn, but this stuff is too heavy for sensitive skin and I broke out each of the 4 times I used it.If like me, you have sensitive skin (mine is combination) I'd steer clear of this one! 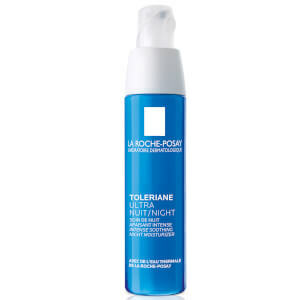 Not For All Reactive, Sensitive Skins! I was about 3/4 through the tube of this before I experienced an allergic reaction. I know this is contrary to the product description, but I turned bright red and felt a warm burning sensation everywhere I used the cream. I washed it off and the redness and burning subsided. Waited a few days and tried a tiny amount on my neck below my ear, just to make sure it was this cream that caused the issue. Immediately, my skin became bright red and warm throughout half of my neck, well beyond where I spread it. I researched the ingredients and am guessing it is the triethanolamine. I used this with nothing else on my cleansed skin, so I know it was this cream that caused the problem (vs cross reaction). I was disappointed as I liked it otherwise. 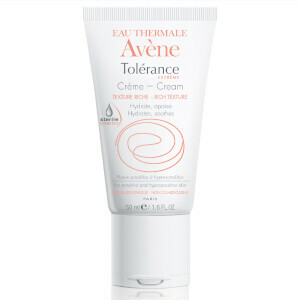 This is Avene's replacement for their "Cream for Intolerant Skin", which was such a great product that offcourse they discontinued it. Just another example of a company trying to "improve" on a product that was perfect in the first place. But anyways. This new moisturizer works very well. It actually soothes and calms extremely irritated skin. It never stings or burns on even the most sensitive skin. And it doesn't seem to clog pores or cause any acne. If you've been struggling to find a lightweight moisturizer for sensitive skin this is it.